People come to vegan diets for all different reasons related to ethics, personal health and a desire to shrink their carbon footprint. Lately, a vegan diet has been touted as a way to shrink your waist, too. That’s because research shows that the average BMI of vegans is lower than that of the general population. But average BMI doesn’t tell us too much about individual vegans. In fact, vegans come in all shapes and sizes and some are overweight. The prevailing wisdom about that supposedly surprising finding is that vegans get fat only if they are eating “junk food” vegan diets. While that may sound reasonable, it’s not actually supported by any data. And it has the unfortunate effect of shaming and blaming people who are overweight. It suggests that if they just started eating the “right diet” all vegans would be slender. In fact, you can eat a healthy vegan diet and still struggle with weight. Experts continue to grapple with the issue of obesity, which is due to some complex interplay among habits, genetics, and environment. They recognize that some people—especially those who have been overweight all of their lives—struggle more than others with weight. It’s both naïve and unfair to pretend that there is some simple approach to weight management that works for everyone. It’s also unfair to assume that every overweight person “should” be attempting to lose weight. Many who are above “ideal” standards for weight are actually in perfectly good health. And even if they aren’t, constant attempts to lose weight, along with the assaults to self-esteem that occur when those attempts fail, can be worse for health than carrying around a few extra pounds. In Vegan for Her, I suggested a shift in paradigm—away from a number on the scale toward habits that are healthy and compassionate. Your “happy weight” or “ideal weight” is one that you achieve when you eat healthy foods that you enjoy, exercise regularly, and eat in response to hunger (rather than in response to emotional cues.) It’s an approach that encourages a focus on healthy whole plant foods—vegetables, fruits, nuts, seeds, legumes, and whole grains—but doesn’t forbid any particular plant food. If you’re overweight and you do have risk factors for chronic disease, making lifestyle changes related to food, exercise, and stress management can lower your risk, even when the changes don’t produce a weight loss. And if you don’t lose weight, it doesn’t diminish veganism in any way. It’s enough to embrace health and compassion. You don’t have to be any particular size to reap the rewards of a compassionate vegan lifestyle. Ginny Messina, MPH, RD writes about vegetarian and vegan diets for both the public and health professionals and speaks on vegan nutrition at scientific events for health professionals as well as events for the public. 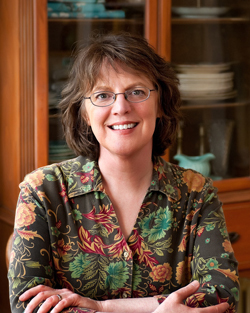 She is the co-author of Vegan for Life and Vegan for Her and has also co-authored a vegetarian textbook for health professionals, The Dietitians’ Guide to Vegetarian Diets. She lives in Port Townsend, Washington with her husband and an ever-changing population of rescued cats. Ginny blogs at TheVeganRD.com and is also TheVeganRD on twitter and facebook. She is co-owner of a website for vegan women, veganforher.com. I love this. While my BMI is lower than that of most of my non-vegan family members, I still struggle with a genetic predisposition to be overweight as well as early childhood training to eat for reasons other than hunger. However, since becoming vegan, my cholesterol is in the healthy range and I’ve avoided the diabetes that seems to plague some family members. There is too much fat shaming in any community, and this includes the vegan community. Thank you for addressing this, Ginny. Increased. This has worked even for my patients with no thyroid! On a cellular level we are all the same and our cells have the same needs. While genetics plays a small role, at least 80% of weight is based on what we eat. I also disagree that people can be overweight and “perfectly healthy”. Excess fat on the body is never healthy. Fat stores toxins and puts strain on the body, especially the heart and the joints. Just because the basic blood tests are normal does not mean someone is healthy. I also don’t believe that talking about veganism as a way to lose weight fat-shames overweight vegans. It has given tremendous momentum to the movement since many people are looking for a better diet, not necessarily a more ethical way of living. We should embrace anything that brings more people to the cause. Also truthfully, veganism is a healthier way to live, not just because it reduces weight, but the risks of disease. I have great respect and admiration for all doctors. But from my point of view, a prospective “patient” point of view, I have to point out that your blanket comment of “I also don’t believe that talking about veganism as a way to lose weight fat-shames overweight vegans…” is not true for me personally. I eat quite healthy food, but do tend to overeat emotionally. I will overeat on anything – nuts, fruits etc, not regularly on “vegan junk.” As a result, I’m consuming too many calories, so I am constantly about 5kg overweight. 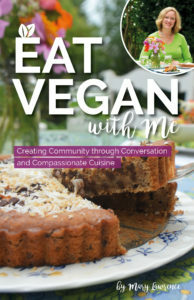 All my omnivore friends are slim, much slimmer than me – and due to the vegan community and media advertising stigma of “weight loss,” I feel ashamed, like I’m letting the vegan team down, because I’m supposed to be the healthier, slimmer one in my group of friends. My friends would never say anything, they are far too lovely, but I feel like I’m supposed to be setting the example of how good you look when you are vegan. I won’t even go to any vegan social outings because I am afraid that I will feel uncomfortable compared to everyone else (who I’ve never met) because I’m overweight and vegans are not supposed to be! Not all people go on vegan diets to lose weight and not all vegans like myself who go on a vegan diet lose weight as a result of it, so it is unfair that “being slim” is the stereotype label attached to being vegan. It does fat-shame people like me who have emotional eating issues. I am vegan first and foremost for compassionate reasons, the health bonuses are just that for me – a bonus. I love animals and do not wish to harm them, anyone who goes on a vegan diet for health reasons only, is not really a vegan in my personal (only) opinion. There has been evidence from studies over recent years that genetics can play a role in weight gain and loss, and you admit this yourself. I don’t believe this is the case for me, but Ginny’s article has helped people like me and others who are not “slim” but are vegan, feel better about themselves. I now feel a little more “normal” is this omnivore dominated world thanks to this article. Metabolism boosters not blisters!! Sorry! I think it’s great to be reminded to be kind and compassionate, attributes so long forgotten in our society. I believe being compassionate does not automatically negate constructive criticism and support for those in need. It is in everyone’s best interest to have a lower weight and ingest less calories (it’s been proven over and over to lengthen life significantly). A vegan diet can provide this, but the diet should be as close to raw as possible. We should be understanding that this comes in steps, and pushing one over the edge with criticisms and bad-talk will most certainly not encourage the person to take their time and achieve this goal in proper time. People who are rushed are unsuccessful – not to mention stressed, which also adds to weight gain. No change in life should be done suddenly, as it is a shock on our bodies. These people should be understood and encouraged to progress at their own pace. No one is equal. I am a 26 year old with an interest in health, my BMI is below the “ideal” level and I eat meat and processed carbs. Most people living on my diet would be quite overweight if not obese. Everyone is different. Compassion and understanding are universal principles we all need in our lives at some point or another. Brava, Ginny! An excellent, balanced and informative article. You can absolutely call at your commitment inside the pictures you’re. The entire world desires much more fervent copy writers just like you that aren’t frightened to express where did they imagine. Continuously observe the center. where do I begin in teaching vegan diets? The resources seem so slim. Even the academy has little to offer. Neither does the NCM. I would like to develop a wellness program for Seventh Day Adventists. Can you give me an idea of where to start with comprehensive resources??? MSU Alumni and remember you!